The Lowrance 18.3 software update includes support for Active Imaging, StructureScan 3D with Active Imaging enhancements, and the LR-1 Remote Control. LOWRANCE has released a new software update for HDS Carbon displays. Offering a range of new features, the Lowrance 18.3 software update includes support for Active Imaging, StructureScan 3D with Active Imaging enhancements and the LR-1 Remote Control, plus a simplified user interface and new Dual Mode WiFi capability. 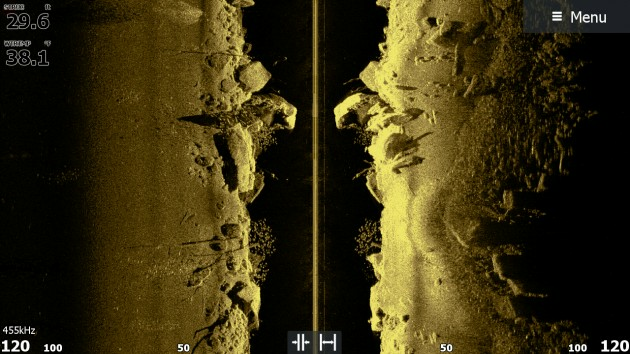 Active Imaging Perfect for pinpointing fish-holding areas like rockpiles, standing timber, weedbeds, ditches and drop-offs, Active Imaging allows anglers to see structure and cover at a greater distance from their boat with more refined detail than any other structure imaging technology. The 18.3 software update enables support for both Active Imaging 3-in-1 (CHIRP | SideScan | DownScan Imaging™) and 2-in-1 (SideScan | DownScan Imaging) transducers. StructureScan 3D with Active Imaging Enhancements Active Imaging enhancements for StructureScan 3D include a cleaner water column with less noise, refreshed colour palettes and enhanced sonar processing to deliver the maximum amount of detail; plus a new depth-highlighting feature that colours the user-selected upper- and lower-depth limit area to help anglers better isolate specific structure and bottom depth. LR-1 Remote Control Users can control an HDS Carbon display from anywhere on their boat with the optional Lowrance LR-1 Remote Control. The remote has pre-programmed keys for marking waypoints and zooming in/out, plus up to five user-programmable options. Quick and Easy Access to Sonar Anglers will get quicker, one-touch access to all of their sonar via a simplified HDS Carbon interface, featuring dedicated sonar pages for CHIRP, SideScan, DownScan Imaging, StructureScan 3D and SpotlightScan™. New custom split-screen panel configurations are also available that allow anglers greater control over the display of split-screen panels – the perfect way to showcase HDS Carbon’s new capability to display SideScan, DownScan Imaging and StructureScan 3D on the same screen, at the same time. Dual Mode WiFi With Dual Mode WiFi, you can maintain a WiFi connection to HDS Carbon and still use it as an access point for screen mirroring/remote control from a smartphone or tablet via the Link app. Prior to the 18.3 software upgrade, HDS Carbon displays could only perform one of the tasks at a time – connecting to the internet or serving as an access point for screen mirroring/remote control. “This free update includes powerful sonar features and enhancements that serve as another example of the long-term product support we offer our customers,” said Leif Ottosson, CEO and president, Navico. For more information about the Lowrance software update, HDS Carbon, other Lowrance marine electronics, or to locate an authorised Lowrance dealer, click HERE.